Our family is recovered, and we're ready to put on our sorting hats and wizard party this weekend! Postponing a party is never fun, but I'm happy that all but one friend can make it for the new party date. 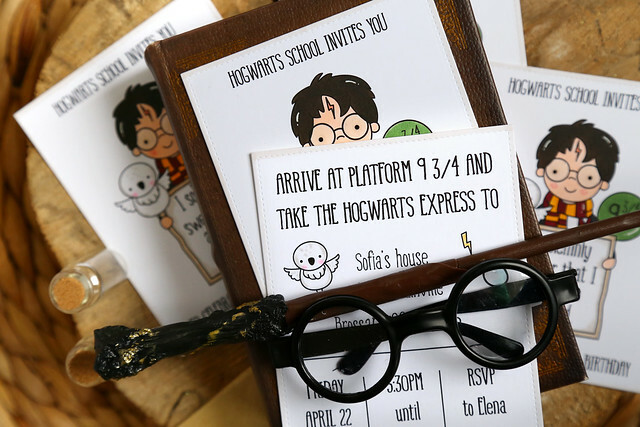 Sofia wanted a "cute" Harry Potter party, and I couldn't find an image that I really liked. The kawaii ones with the huge eyes were the only option we found, but the big eyes "are a little creepy, mom." Um, ok. So I drew my own instead. I drew a cuddly little Hedwig and lightning-scarred Harry Potter, printed them out and colored them with copic markers. Voila! Party invitation front side. The date is obviously last week's first attempt, but we will get it right this weekend! 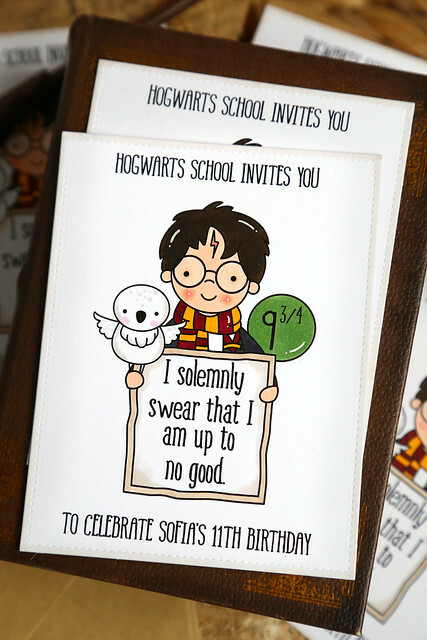 My Harry Potter images will probably find their way to the Etsy store sometime in the next few weeks. Party first, format images next. Yes? Love these! Happy belated birthday Sofia. Please put these in your shop, they are too cute! Glad to hear that you are all recovered and ferling better!Love your Harry! Can't wait to see what else you created for her party! If they do make their way to your store...this girl will need them! lol! They're just too adorable! I am so happy that you are going to put these images in the shop. When my son saw them he wanted me to "get the stamp"!!! 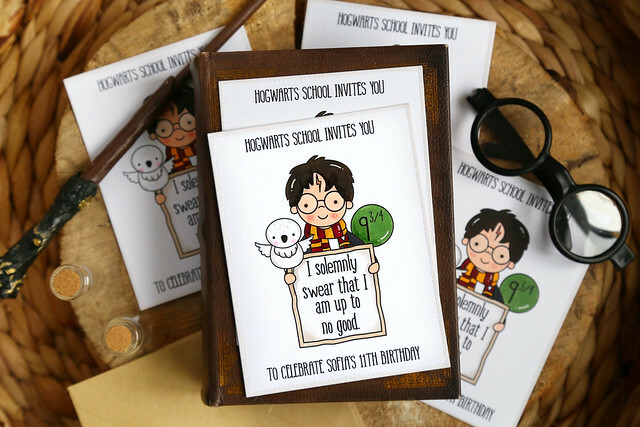 The invites are beautiful as always! I can't wait to see the whole party, you never disappoint! These are so fantastic, Elena! Wow my kids would go bonkers over this image. Fun. Glad your all well. Absolutely AWESOME!! Don't know what i like the best.. the owl cakes or mini jellybeans & i wouldn't mind some of that luck too!